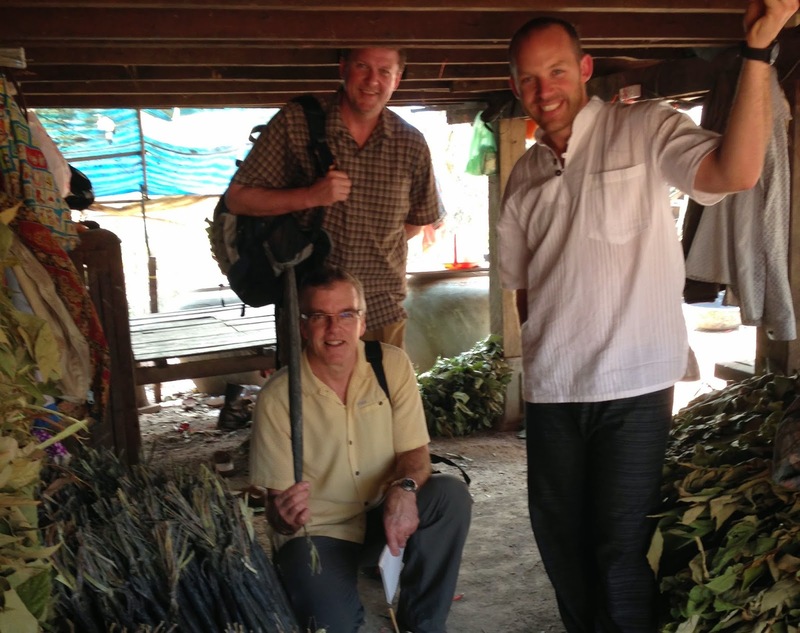 Bernie Willock, President and CEO of Food for the Hungry (FH) Canada visits our communities in Cambodia and Bangladesh. Here are few highlights from our world-traveling leader! The trip kicked off with an exciting visit to FH Cambodia community, Anlong Veng, where I got to see, first hand, the power and diverse impact that Savings and Loans Groups (SLG) have on a community. I met a woman who manages her own cricket farm in order to generate income that she can re-invest into her chickens - that's where the real profit is. And she's amazing! She is a volunteer health worker with the local government, treasurer of her SLG, and a member of the Community Development Committee that works closely with FH field staff. 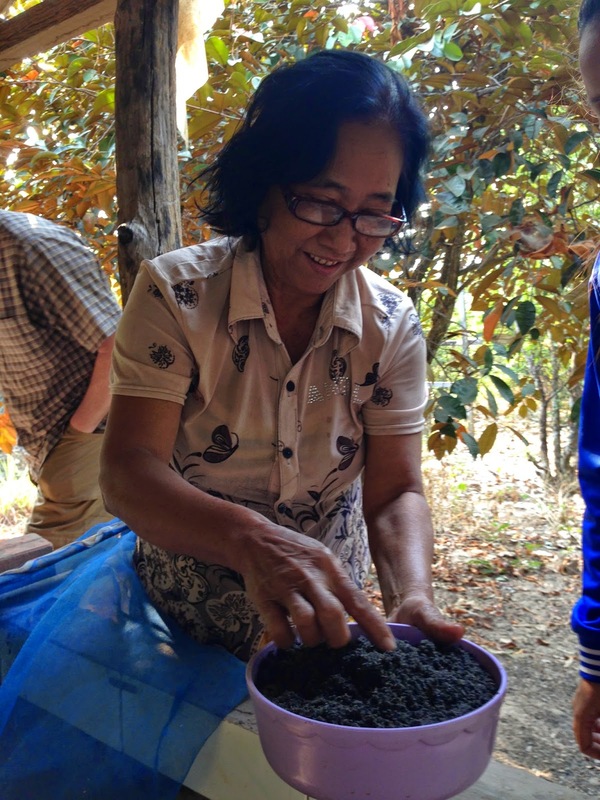 Once stuck in poverty, she is now outrageously successful. THE BLUE NET KEEPS THE HOPPY CRICKETS FROM ESCAPING! Next I got to meet this man who runs a torch making business. With the resources he's been able to save by participating in SLG, he buys resin to make and sell torches. His family gathers leaves from the local forest which he bundles and dips into this boiling pot of resin, shapes with his hands (wearing thermal gloves covered by plastic bags), and hangs up to dry - all in 30+ Celsius of heat! It's incredible. And then Thai trucks come along and buy all the torches made by people in the village - paying about 25 cents each. It's a great industry - very reliable. And the best thing about this man's story is how it has changed family life. Before he had his torch making business, he had to travel all the time to look for work. He hardly spoke to his wife, he hardly spent any time with his children. 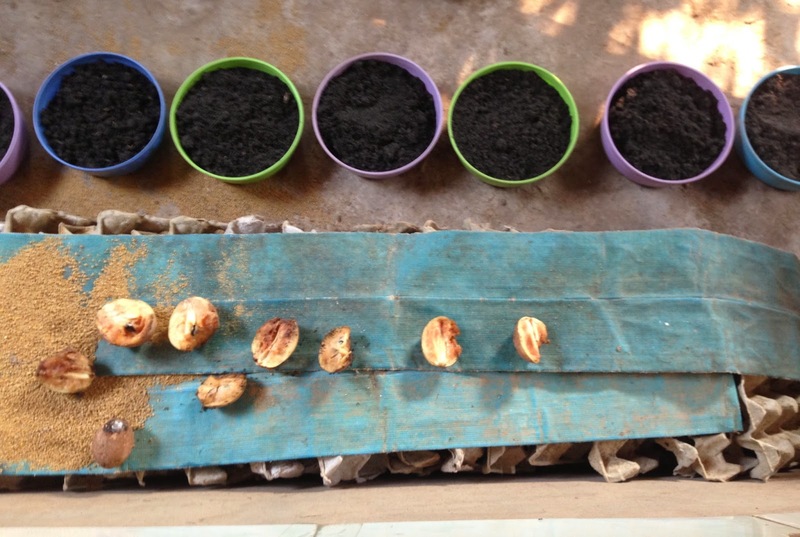 Now, his primary source of income is generated at home - and it's a family business! With the knowledge she's gained in her SLG, his wife helps keep the books and together they make decisions about their business and their family! His kids go to school and get to spend time with him - it's just amazing. What a transformation! 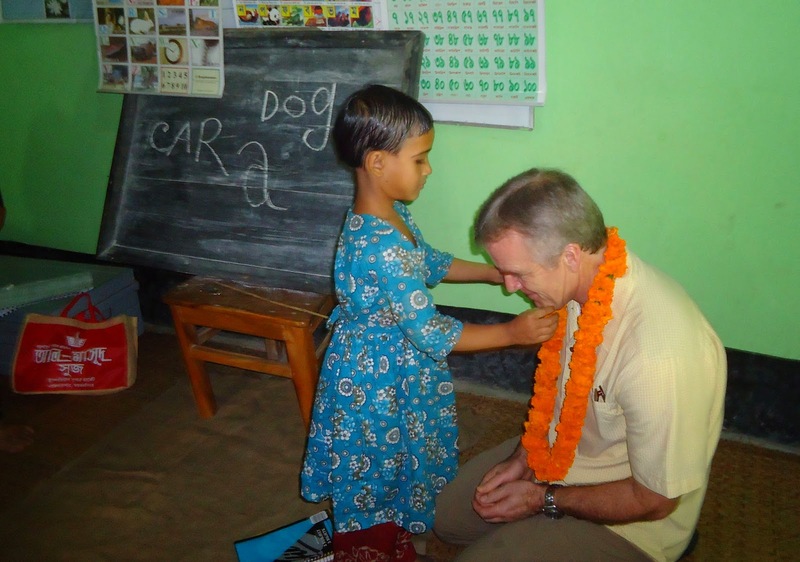 I also had the opportunity to meet my sponsored child, Khavin. That was an exciting experience - what a neat kid, with great parents! 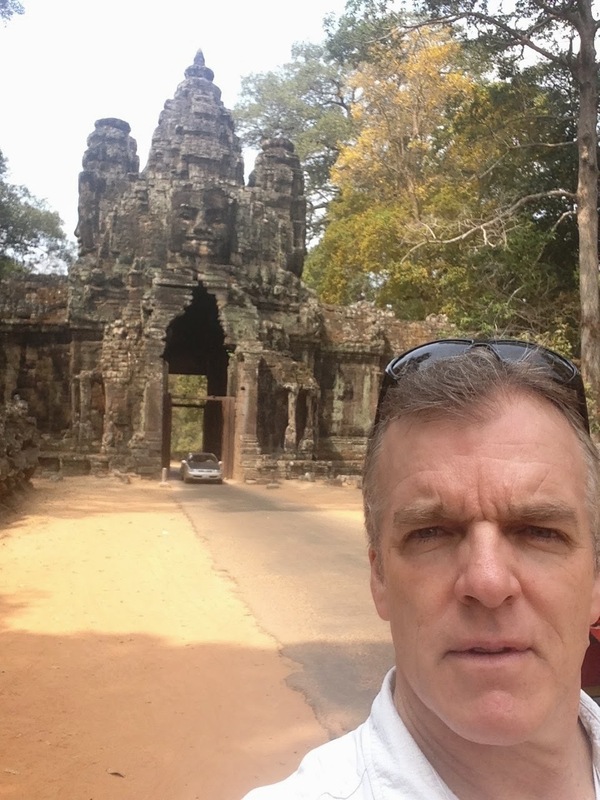 I finished off my time in Cambodia by attending a goodbye party for Mark Fender, country director for FH Cambodia. 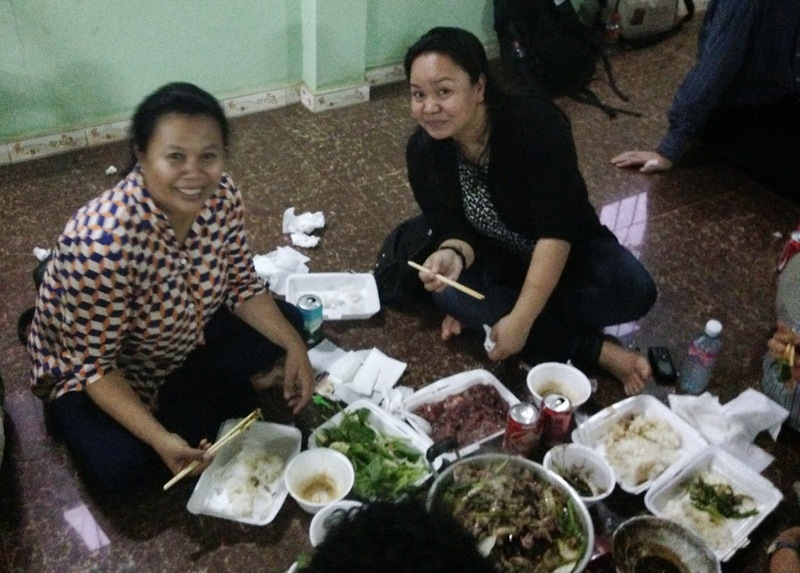 Since they were tight on finances, FH Cambodia said they would provide half the money needed for the party, and the field workers had to provide the rest. You wouldn't believe the way they came through! It was a great party - it really showed the love and respect they have for Mark. 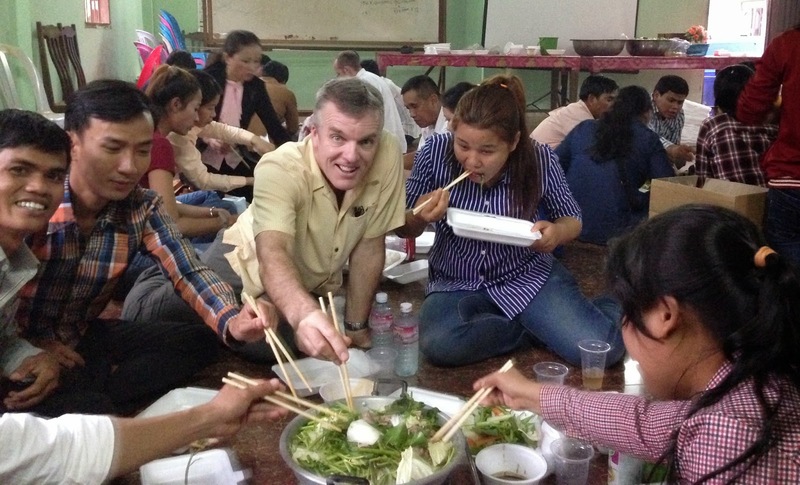 BERNIE LEARNING TO EAT CAMBODIA STYLE! 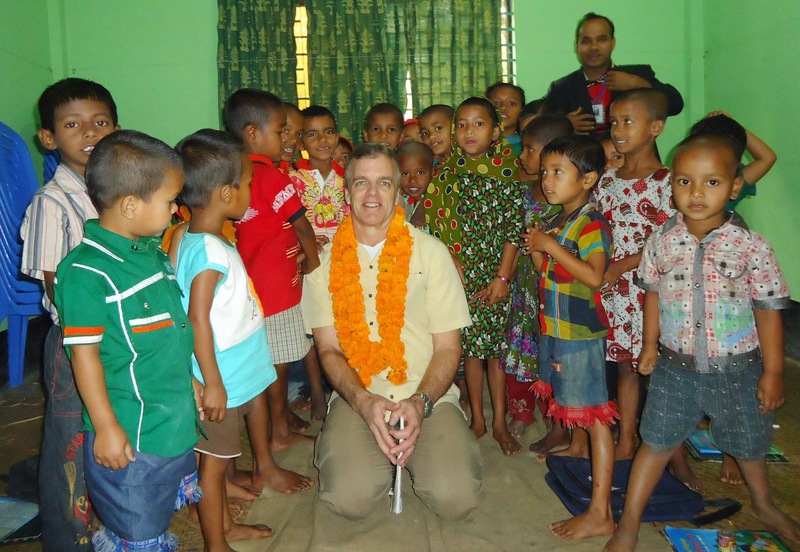 My next stop in Asia was Bangladesh, where FH Canada supports two communities in Mymensingh - Mymensingh and Char Borobila. 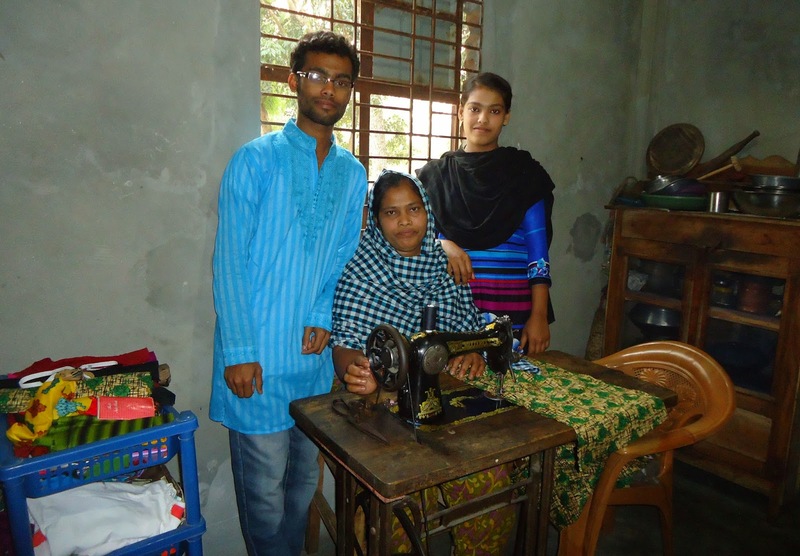 In Mymensingh, I met a woman who bought a sewing machine through her SLG. Through the money she's generated with that sewing machine, combined with her husband's work as a farm laborer, they have bought their own piece of land and are saving to build a house - amazing! Both their son and daughter are sponsored children. SEAMSTRESS AND HER TWO CHILDREN - THEY BOTH ATTEND SCHOOL! To get to Char Borobila, we drove to the end of the pavement, through the crowded market, beyond the gravel road, until the truck couldn't go any further - then we got out and walked into the community. Wow. At FH, we often talk about going to the hard to reach places and man, we aren't kidding! I got to visit a preschool FH recently started to help encourage parents to send their kids to school. 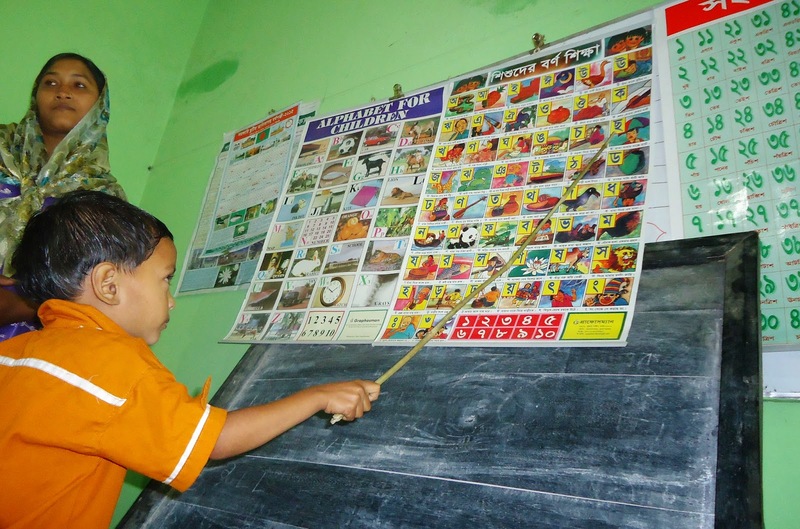 I have never heard little ones so enthusiastically recite the alphabet! I also visited a SLG in Char Borobila. 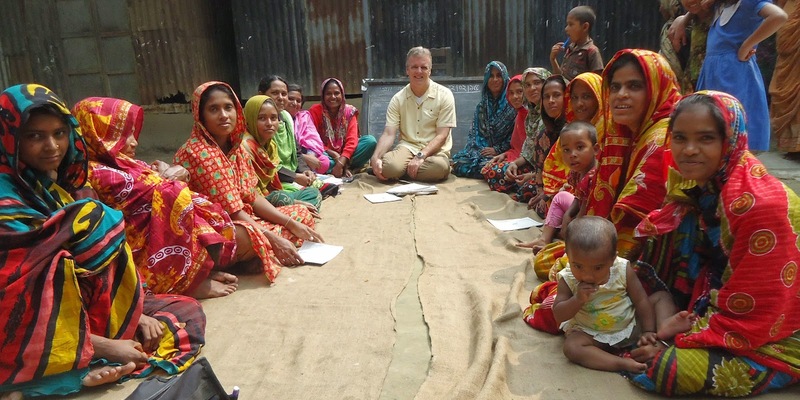 They've only been going about a year, and you can tell because they didn't yet have the same confidence that the group in Mymensingh had after eight years of saving and growing. But I tell you, these are my heroes; they're so brave! Breaking the status quo, daring to change their circumstances - I was really humbled to be allowed to join them for a day and offer my encouragement. 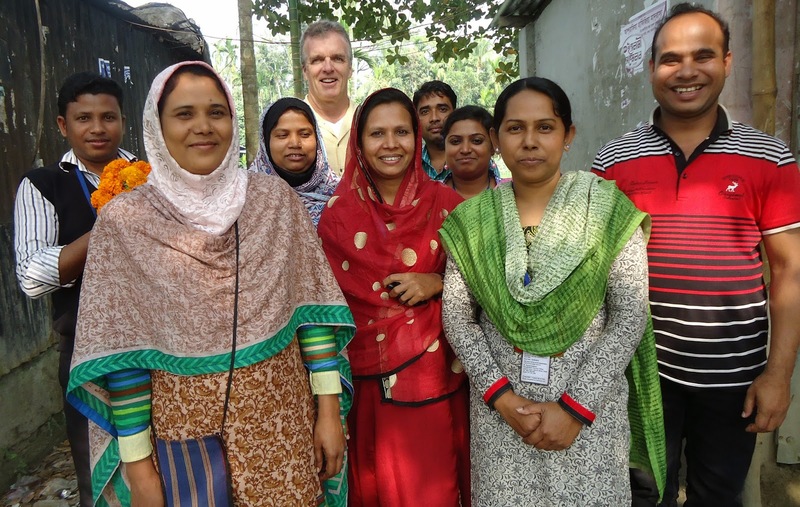 The staff in Bangladesh are so inspiring - they work tirelessly and lovingly with and in our partner communities. I feel proud to be serving with them from this side of the world.